What a couple days of fabulous weather we have had this week!! It has been wonderful working in it – Spring is on it’s way! 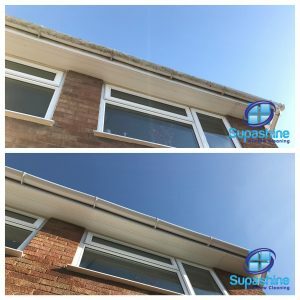 We have been inundated with requests for Gutter Clearout quotes along with Gutter/Fascia/Soffits Wash quotes and customers are booking in as far ahead as May & June!! The photos attached to today’s blog are from jobs undertaken this week. 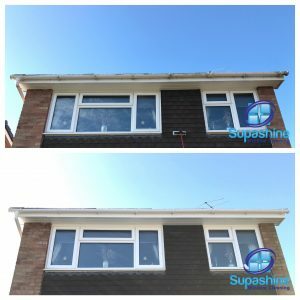 What a massive difference in the before & after photos. 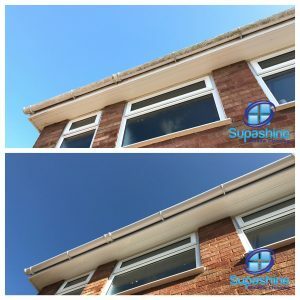 This clean really does make a difference to a property, adding extra kerb appeal, which is invaluable for anyone trying to sell a property. PreviousPrevious post:Busy, Busy, Busy! 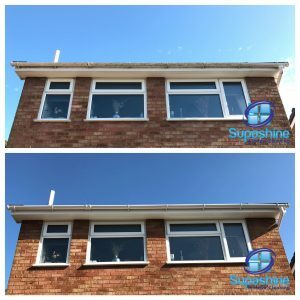 !NextNext post:Water Fed Pole Window Cleaning – What Are The Advantages?